Retired coach Jim Stinson of Spokane has compiled a history of Washington’s “B” basketball tournament from 1931–2010. 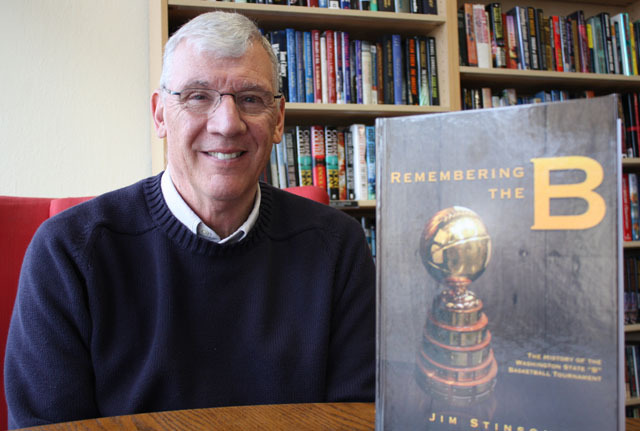 Jim Stinson has written a book that should find a home with every Class B basketball tournament-loving sports enthusiast in Washington. 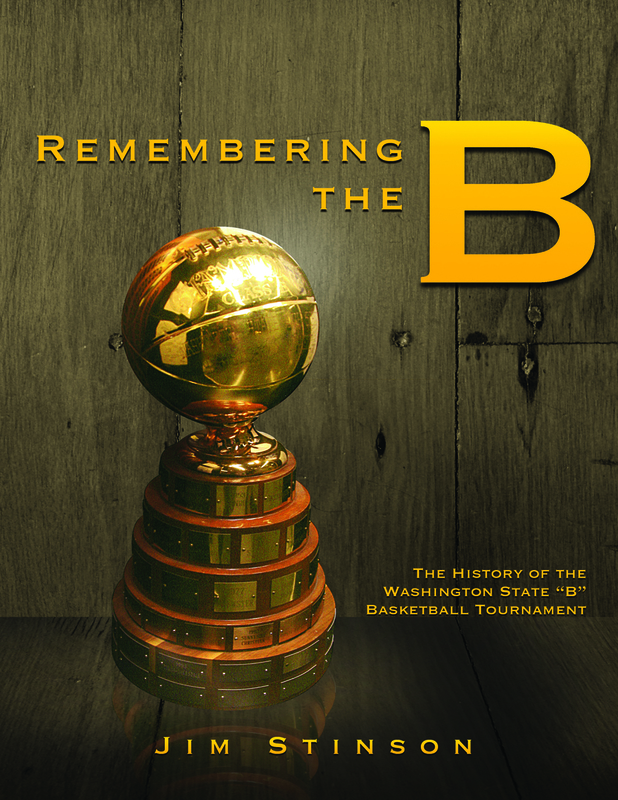 The retired coach and educator recently published Remembering the B, a 464-page tome that includes scores, stories, and stats from the 2,622 games played in the tournament from 1931 to 2010. The book is the culmination of a 40-year career in sports and a love of history and research. Stinson grew up in Illinois, but spent his adult career in schools districts in Montana and eastern Washington, teaching math, English, history, government, economics, and drivers’ education. He coached football, basketball, track, and cross-country. These days, you’ll find him serving as the head timer at the state track meet for 1A, 2B, and 1B schools in Cheney each year. In 1973, Stinson and his wife moved to Washington from Montana, and he went to his first Class B school basketball tournament. It was the start of a different kind of love story. Drawing on his history and English skill set, Stinson typed a 112-page book he titled Tournament Fever. “It was bad, but a lot of people liked it,” he laughed. That was it for Stinson’s writing efforts. For 30 years. In 2009 Stinson retired from teaching and coaching at Davenport High School, and decided it was time to write again. “When I retired I got really serious about it. I did a lot of research and had a lot of material, so I started writing,” he said. He got some help with the project from four men he refers to in the book as “The Crew”: proofreader Bruce Bennett, a writer from Friday Harbor; newspaper writer Kevin Heimbigner from Ilwaco; Morton sportswriter and former tournament player Chris Johnson; and Nick Babcock, a former sports editor for Wenatchee World. More than two years later, Stinson, who is 65, has produced a book that is equal parts reference tool and entertainment. The hardbound, full-color book’s glossy pages dutifully pay homage to what Stinson calls “the greatest basketball tournament ever held.” Its pages include summaries of each of the 68 boys and 33 girls tournaments played between 1931 and 2010. 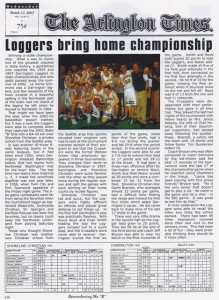 There are feature stories about the coaches, players, and administrators who populated the tournament over the years, as well as articles on the tournament’s early pioneers. 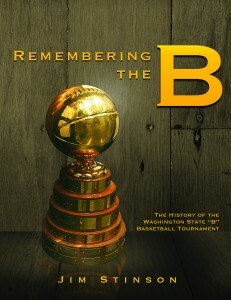 Remembering the B also includes a chronology of rule changes from 1923 to 2010, a 135-page index of names and point totals for the 12,986 players who suited up for the tournament, scores and other information about the 2,622 games played between 1931 and 2010, and statistics and all-tournament teams. Both Concrete’s and Darrington’s basketball teams have made it to the tournament, but Darrington’s appearances—and accomplishments—far eclipse that of its rival. The Lions made it to State in 1947 (placing fourth), 1984 (not placing), and 1985 (placing sixth). 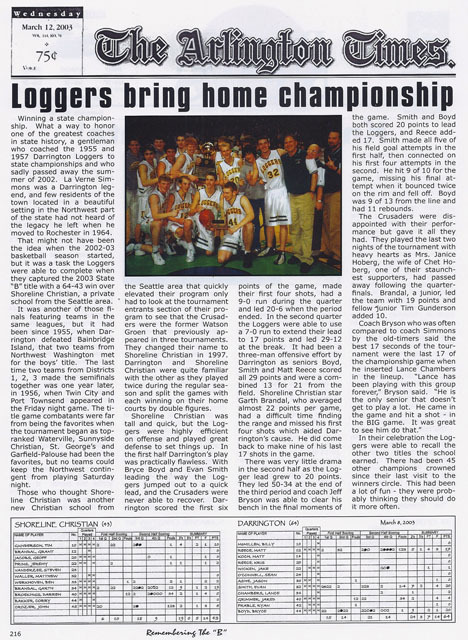 Darrington, on the other hand, has gone to the tournament 23 times since 1950, placing most of their trips and bringing home the championship trophy in 1955, 1957, and 2003, when they stomped Shoreline Christian 64–43. In the women’s tournaments, Concrete sent its Lady Lions to the tournament in 1985, but they were unable to place. Darrington sent its women’s team 13 times between 1983 and 2010, but only one trip brought back a placing: In 1985 the women placed 8th. La Conner, which always serves up stiff competition for Concrete and Darrington, has been to the tournament more times than any other school in the state—but they’ve never won it. 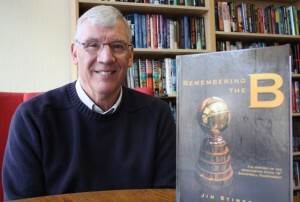 Stinson’s book is a labor of love, but also a sort of mourning for the loss of a tournament that he feels has been all but destroyed by the WIAA. Stinson has been touring the state, making appearances and selling his book. And when he’s done, he’s done, he said. “Even if I run out, I’m not going to print more. My wife wants me to do some other things with our lives,” he said. Editor’s note: To order Remembering the B, go to www.rememberingtheb.com.